Community members and visitors can choose up to 3 ways to receive emergency notifications and community information from Public Safety, City, Tribal and County Officials for Lincoln County, Oregon. Community members should also be knowledgeable of our local radio, print, television and on-line media sources who will provide additional information from local public safety officials as it becomes available. 1 - Residential and business landline numbers are automatically included in the emergency contact list and do not require any action. 2 - Address specific numbers such as mobile numbers, mobile texts, e-mail, and fax numbers are not included in the emergency contact list and require a manual sign-up. You will be required to create your own secure user name and password that will provide you with access to update or delete your profile information anytime you need to. Each person with their own mobile phone in your household should have their own proﬁle. You are able to add multiple locations, addresses in Lincoln County (i.e. home, work, childcare addresses). The more address information you provide, the better our ability to notify you of emergencies that might affect you, your family or your business. Businesses can also sign-up to receive alerts related to the physical addresses associated with their business locations. Community members with access and functional needs can provide emergency responders with important information about their needs in case an evacuation of their neighborhood is necessary. 3 - Anyone can sign up to receive community information via text from City, Tribal and County Officials by texting any or all of the keywords below and/or your zip code to 888777. You will receive a single opt in welcome message. Reply YES to continue to receive SMS text messages. You may opt out at any point by sending "STOP [keyword]" to 888777. For help with your keyword subscriptions text HELP to 888777 for information. Community information may include street closures, water outages, and community event notices. Notifications will also be sent when there is a critical situation affecting that area. Message and data rates may apply based on your individual mobile phone plan, message frequencies vary. 1. With your family or household members, discuss how to prepare and respond to the types of emergencies that are most likely to happen where you live, learn, work and play. 2. Identify responsibilities for each member of your household and how you will work together as a team. 3. Practice as many elements of your plan as possible. Be familiar with natural disaster risks in our community. Consider how you will respond to emergencies that can happen anywhere, such as home fires and floods. 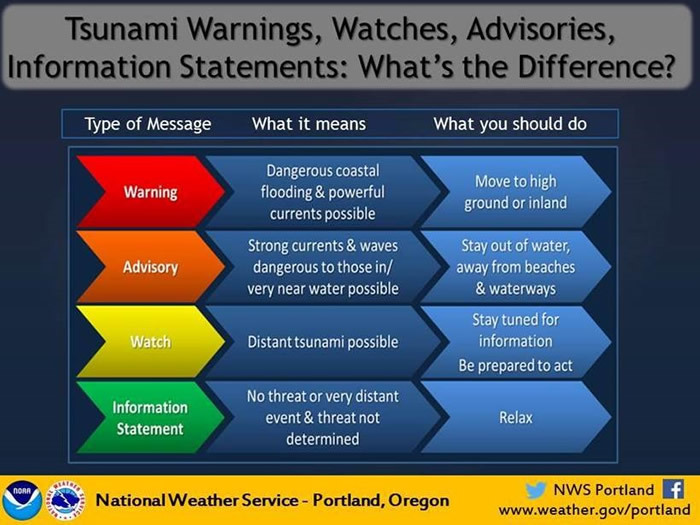 Consider how you will respond to risks that are unique to our region, such as tsunamis and earthquakes. 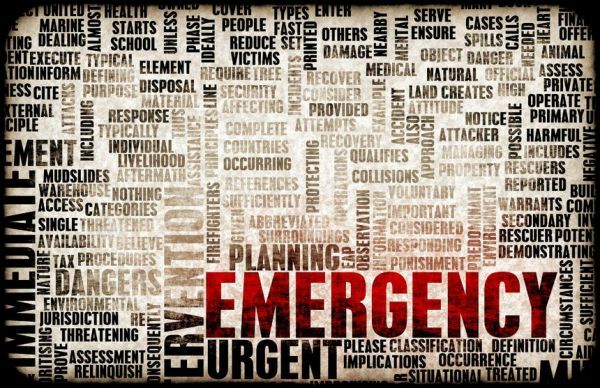 Think about emergencies that may require you to shelter in place (such as a winter storm) or emergencies that may require evacuation (such as a tsunami). Consult with emergency resource libraries (liek this one from the American Red Cross, for tips on preparing for, responding to, and recovering from specific disasters. 1. Choose two places to meet up. (Right outside your home for sudden emergencies, such as a fire and outside your neighborhood for emergencies where you need to evacuate). 2. Choose and out-of-area contact person. It may be easier to text or call long distance if local phone lines are overloaded or out of service. Everyone should carry emergency contact information in writing and saved on their cell phones. Make sure places where your children spend time also have these contact numbers, like at school or daycare. 3. Your plan should account for family members who may live elsewhere during the year, such as members of the military on deployment or students away at college, or those who travel frequently. Be sure to register on the American Red Cross Safe and Well website to let your family and friends know you are safe. Or, call 1-800-RED CROSS (1-800-733-2767) and select the prompt for "Disaster" to register yourself and your family.